Palo Alto Networks M-100, 1TB RAID storage (2 1TB RAID certified drives preinstalled). Rack mount rails included. Palo Alto Networks M-100, 4TB RAID storage (8 1TB RAID certified drives preinstalled). Rack mount rails included. Both Panorama and the individual devices share the same web-based look and feel, minimizing any learning curve or delay in executing the task at hand. Palo Alto Networks adheres to a management philosophy that emphasizes consistency, providing a significant advantage over competitive offerings. Organizations can use shared policies for central control while still providing the firewall administrator with the autonomy to make specific adjustments for local requirements. At the device group level, administrators can create shared policies that are defined as the first set of rules (pre-rules) and the last set of rules (post-rules) to be evaluated against match criteria. 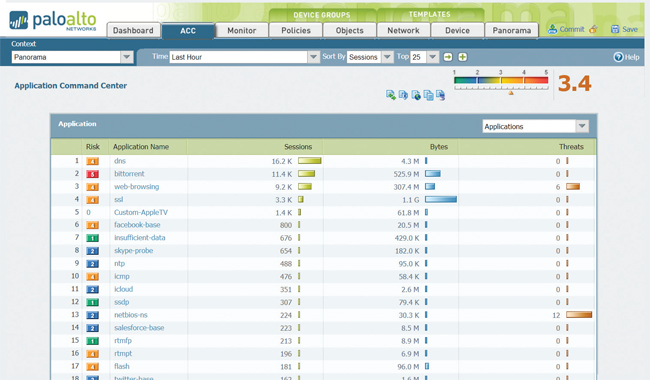 Pre- and post-rules can be viewed on a managed firewall, but can only be edited from Panorama within the context of the administrative roles that have been defined. 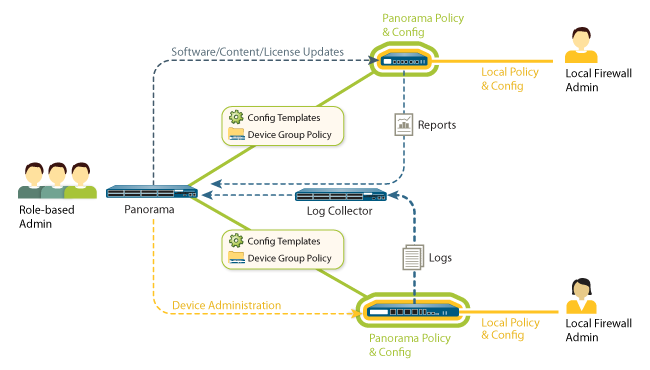 Local device rules (those between pre- and post-rules), can be edited by either the local administrator, or by a Panorama administrator who has switched to a local firewall context. In addition, an organization can use shared objects defined by a Panorama administrator, which can be referenced by locally managed device rules.